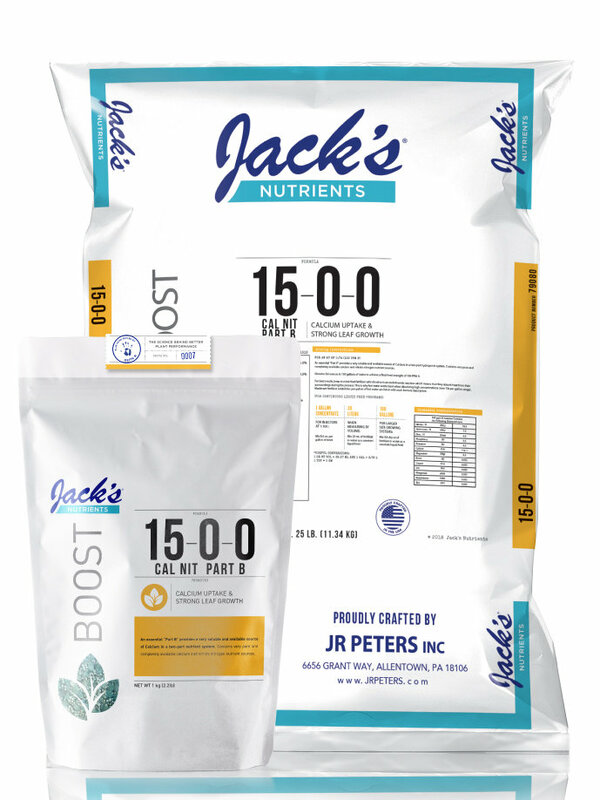 An essential “Part B” provides a very soluble and available source of calcium in a two-part nutrient system. 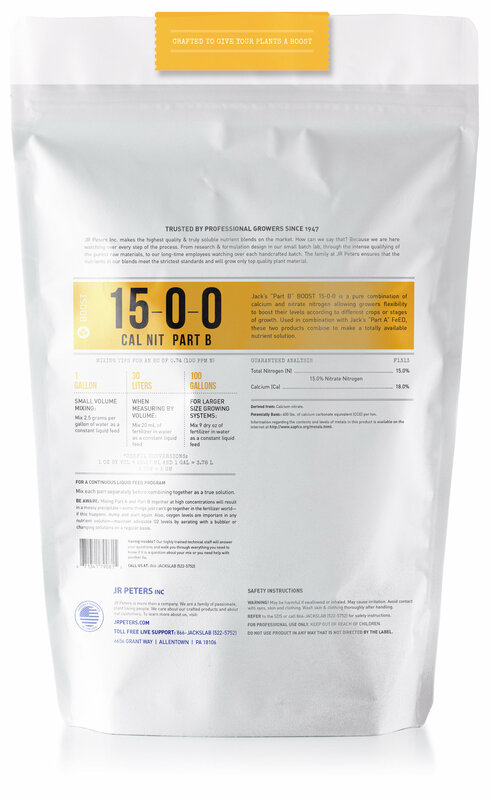 Contains very pure and completely available calcium and nitrate nitrogen nutrient sources. High quality and extremely soluble form of Calcium that is easy to take up by plant roots in a hydroponic environment. 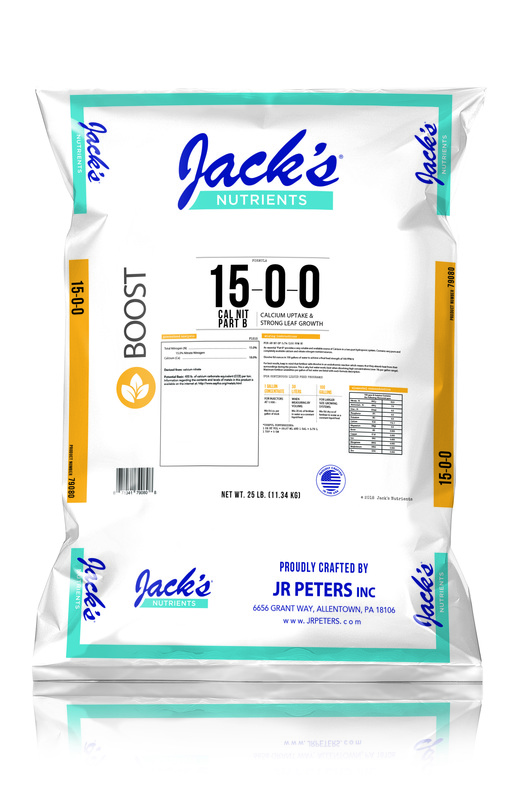 This product is used to supplement calcium (18%) and nitrate nitrogen with no micronutrients added. It can be used to raise media pH and to reduce ammonium, sodium and high micronutrient levels. Should be used in combination with the 5-12-26 Hydroponic in a two-part system.